Riding Around Manhattan | eat. write. smile. 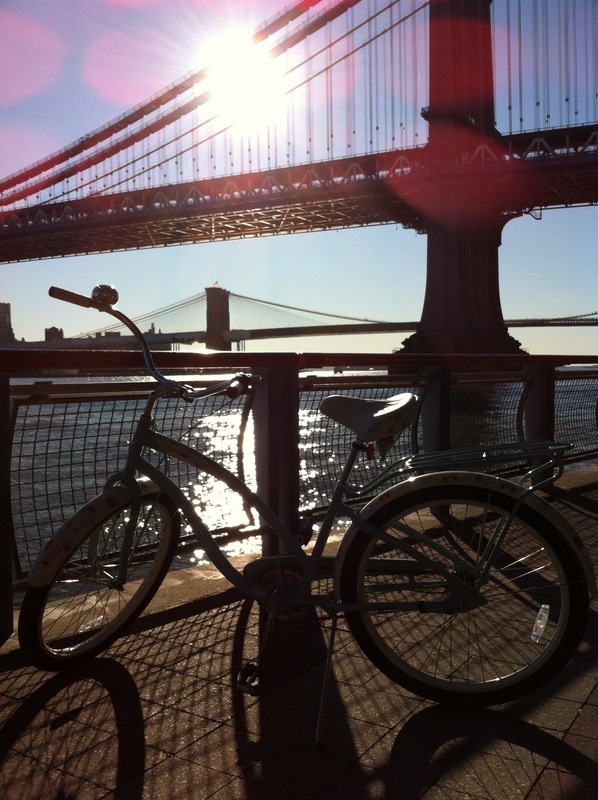 Yesterday I rode my bicycle around all of Manhattan. The thirty-two mile loop took me six hours with a few breaks. We are cut from the same cloth, Bess and I: both laid-back California girls out of place in a big, fast city. While bike messengers and Brooklyn hipsters dart in and out of traffic, Bess and I cruise only the streets with well-marked bike lanes. We are outsiders here, little girls looking in, thus it makes sense for us to circumnavigate Manhattan, rather than criss-cross it. In the six years that I’ve been in and out of this city, yesterday’s ride was one of the most enjoyable things I’ve ever done. Here’s how it went. I left NoHo around 8:45am. I headed southwest and popped out to the West Side Highway via West Houston St. I then started up the Hudson River, shivering and slapping my gloved hands trying to stay warm. Of course I picked the coldest day of the year so far! 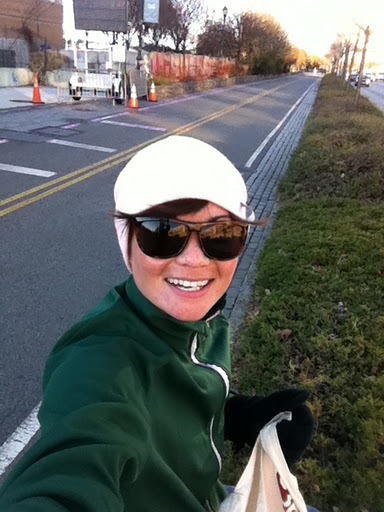 Yet, the sun was shining, and the crisp air kept me pedaling. 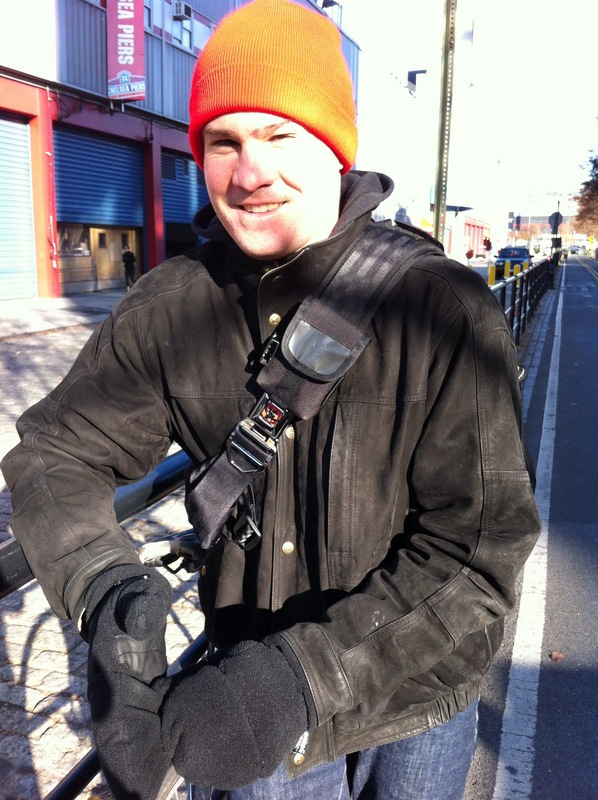 One of the first people I saw on the West Side Highway was… my brother Ben! Hustling down to work in TriBeCa, Ben stopped and turned around, and we had to laugh at our happy coincidence. 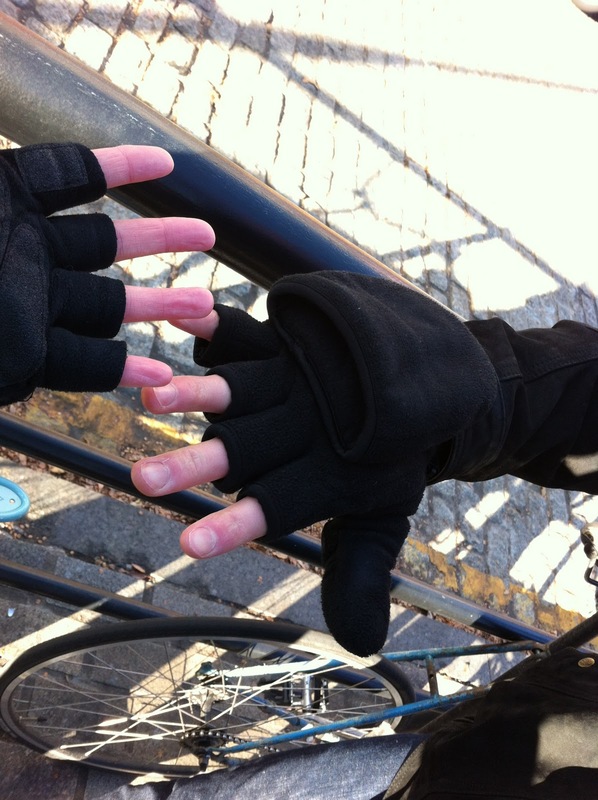 Two Selby kids, riding bikes in New York, and both with cut-finger gloves too! He wished me a safe ride, and pushed south. 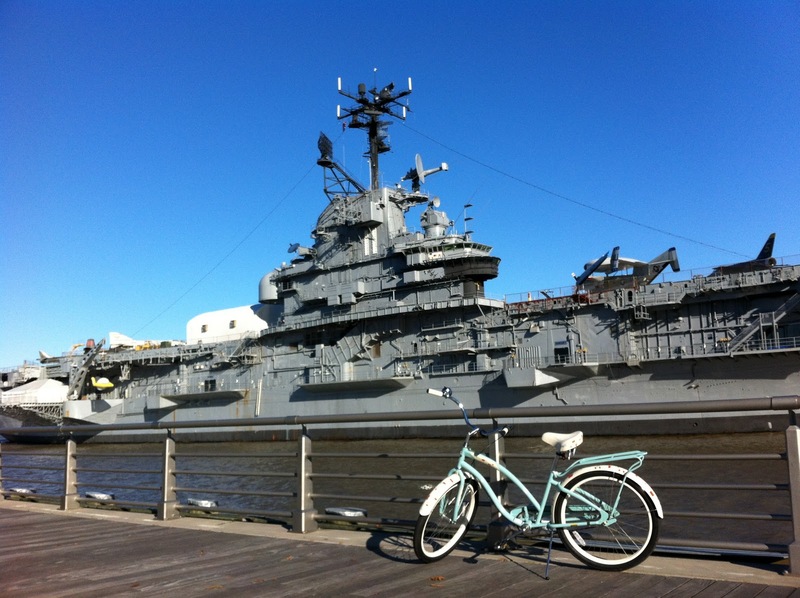 I turned north and kept riding, only to stop again at the sight of the USS Intrepid. Soon, I was past the strollers and the mothers of the Upper West Side, and I approached the top of the island. 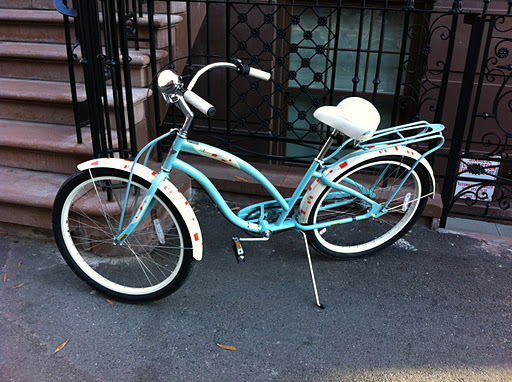 I learned that my beach cruiser is quite heavy, but that fact works in my favor in the hills of Harlem. 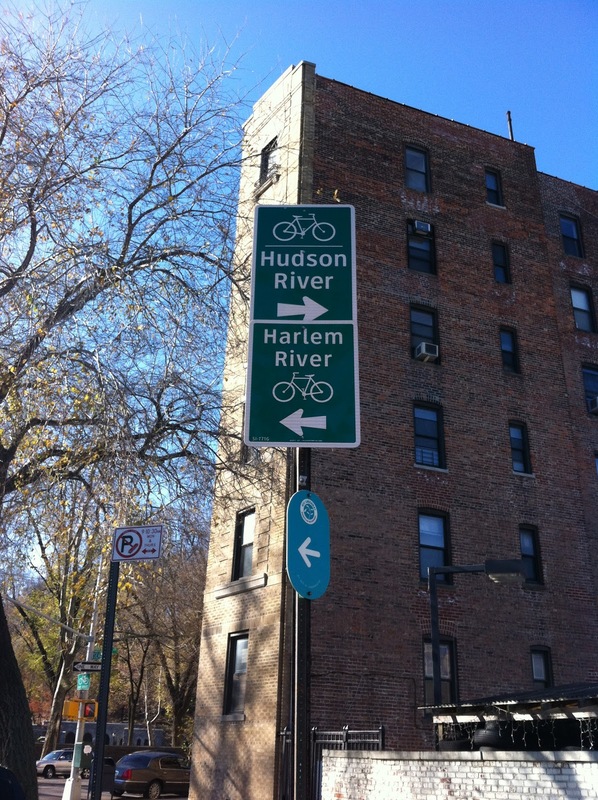 I learned that riding along the Hudson is much colder than riding the East River. I learned that the New York City Parks and Recreation Department has done a pretty thorough job with the signage for the Greenway path around the whole city. I got lost once- on East 158th St.- and only because I didn’t follow the path far enough. As you might expect on these riverside pathways, I saw lots and lots of dogs. I saw plenty of people running, and many people just aimlessly strolling. I heard conversations between old friends about wives and grandchildren; I eavesdropped on a few animated phone arguments. I saw people of all shapes and sizes training at the East River track, including a boxer who couldn’t have been more than 5 feet tall, his fists pumping so fast they blurred his face. I saw the undergirding of thirteen bridges and one cable car, the completely out-of-place Roosevelt Island Tramway. Looking south under the Manhattan Bridge. I saw countless delivery guys with plastic bag lunches swinging from their handle bars. I noticed many of the Chinese delivery guys have semi-motorized bicycles that propel them even when they’re not pedaling; I’m not even sure how the mechanics work. The Mexican guys just flat out hustle, some with helmets, some without. Most delightful was the view of many elementary school playgrounds from the bike path: I saw hundreds of New York City school children running around, playing kickball, jumping and screaming in the early winter morning. Recess- what a wonderful reminder of the child in us all. Even a day later, I still remember vividly the smells on my ride. I suppose in a car you’re either going too fast to notice, or the cabby’s got his own special aroma. In contrast, on a bicycle, I was going slow enough to really notice the changes in smell. Most were quite pleasant; in the morning part of my ride, I caught many warm bread smells from bakeries. Another frequent scent was fresh laundry; I could actually tell the difference between Mountain Breeze and Fresh Linen! More than once, I smelled the oregano-sweet of marijuana. Only once did I smell sewage- at the Riverbank State Park treatment plant at West 135th St.
Several times I got the unmistakable and familiar smell of deep fryer oil. Doughnuts? Chicken? Empanadas? 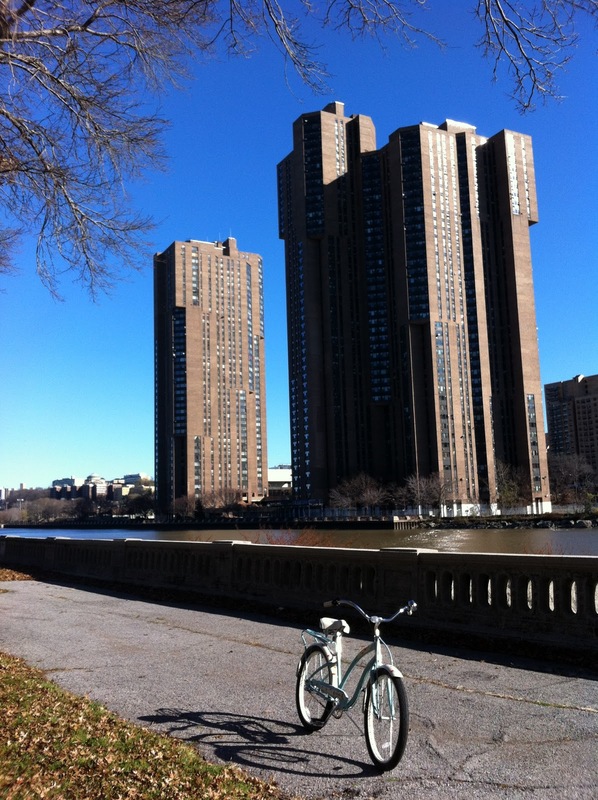 The bike path is blocked on the East River from East 70th St to East 38th, so I had to cut into the madness of traffic. I took 2nd Avenue down, hiding in the relative safety of its bike lane. I was pleasantly surprised by the smell of fresh cut pine and fir from Christmas tree vendors lining the sidewalk. Despite the honking, the delivery truck exhaust and the swerving taxi cabs, I had to smile when I smelled Christmas. 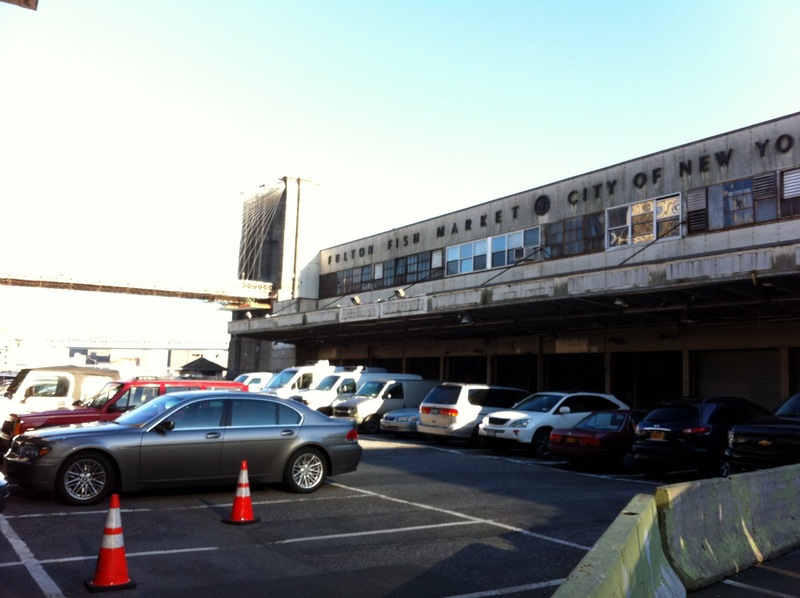 I made it down to the Lower East Side, and I was saddened to see the shuttered Fulton Fish Market. I’m currently reading a book called Four Fish: The Future of the Last Wild Food by Paul Greenberg, and the outlook for many fisheries is not good. I suppose the New York harbor and its immediate surroundings haven’t been great fishing waters for at least two generations, but it was sad to see such a tangible reminder that fish are no longer caught here. I also tested out the best 99 cents I’ve spent recently- the 360 app from Occipital. It will stitch together images in sequence to give you panoramic shots with the iPhone. AMAZING. I made it down to Wall Street, around Clinton Castle and caught the Statue of Liberty in the auburn afternoon sun. Still quite cold and by now genuinely hungry (despite my cheese sandwich and hard-boiled egg snack), I stopped in Battery Park City for some fries and a milkshake at the new downtown location of Shake Shack. Unlike the Madison Square Park location, there were NO LINES. 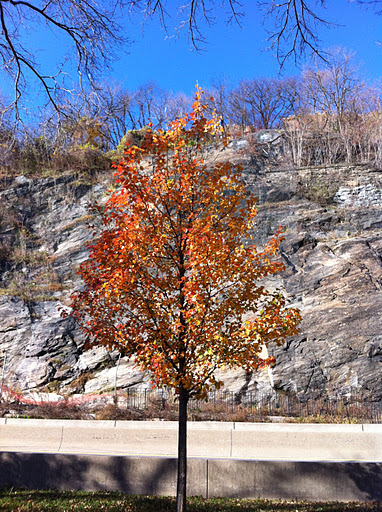 Sated with a little salt and a little something sweet, I returned to the bike path and headed once again up the Hudson. It had taken me a little over six hours, with water breaks, three potty stops, tons of photo ops, some detours and some walking to avoid dense traffic, but I had done it: I rode my bicycle around Manhattan. No awards were given, no personal best time record was set. And I wouldn’t even say that the experience changed me. Rather, it was an enjoyable day that reminded me to keep my eyes open wide to the wonder that is this city. 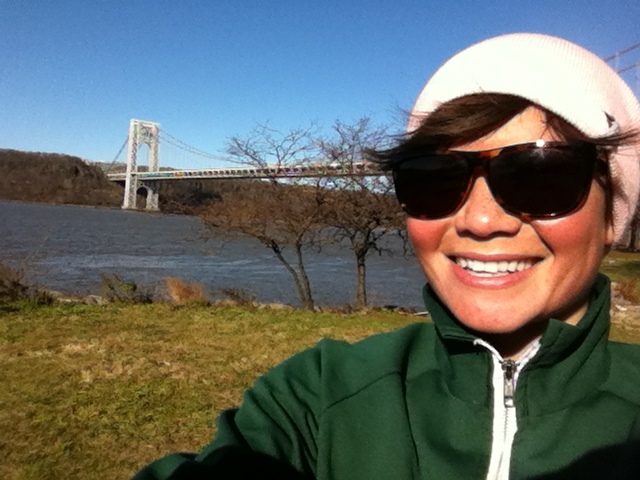 This entry was posted on December 3, 2011 by Ruthie in New York, Riding Bikes.